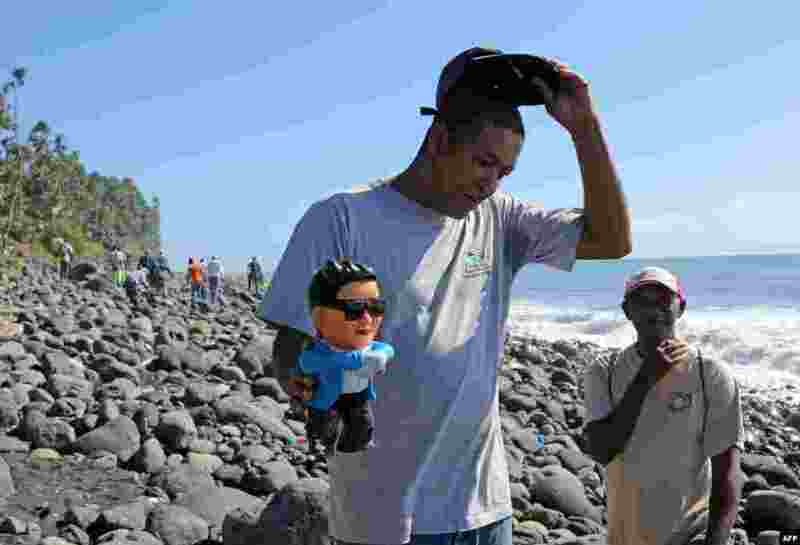 1 An employee of an environmental protection and coastal cleanup organization shows a figurine of South Korean singer Psy found during a search for debris from the ill-fated Malaysia Airlines flight MH370 on a beach in Sainte-Marie de la Reunion, between Champ Borne and the Rivière du Mât river, on the French Reunion Island in the Indian Ocean. 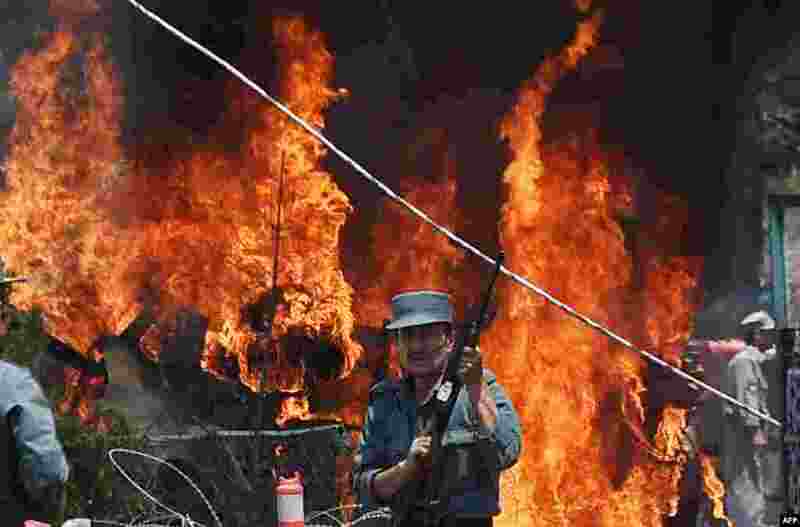 2 An Afghan policeman stands guard as smoke and flames rise from the site of a huge blast near the entrance of Kabul's international airport. 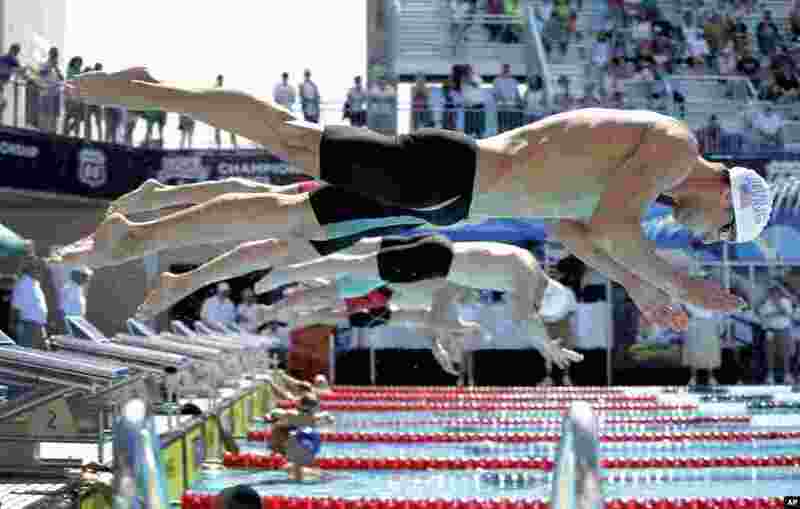 3 Michael Phelps, front, competes in the preliminary round of the men's 200-meter breaststroke at the the U.S. swimming nationals in San Antonio, Texas. 4 An artist performs with fire during a procession as part of "Bonalu" festival in Hyderabad, India.